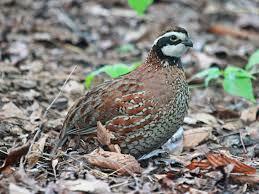 Quail season is here and we are just getting into the thick of it for 2014-2015. While hunting for sport is fun, it would be a shame to let these tasty birds go to waste. There are a number of ways to prepare quail and we have chosen a few ways that we would like to pass on to you. The first way is pan frying the quail. This goes great served with a side of potatoes and gravy for a nice southern style meal. In Texas, it is also very common to grill the quail after letting it marinate in herbs and olive oil in the refrigerator over night. And finally, some folks barbecue their quail on the grill for a tasty original dish. Pasturas Los Alazanes has all of the wild bird feeds and supplies you need for wildlife this winter. Come on by and see us or click here to visit our contact us page to talk with our experts about our wildlife products. We will be more than happy to answer any questions you may have.